According to the website, “Jacob’s Well is one of the most significant natural geologic treasures in the Texas Hill Country.” And it’s clear to see why. It’s one of the longest underwater caves in Texas. It’s basically a spring-fed pool that is made by the thousands of gallons of water per minute that surge up into the well. 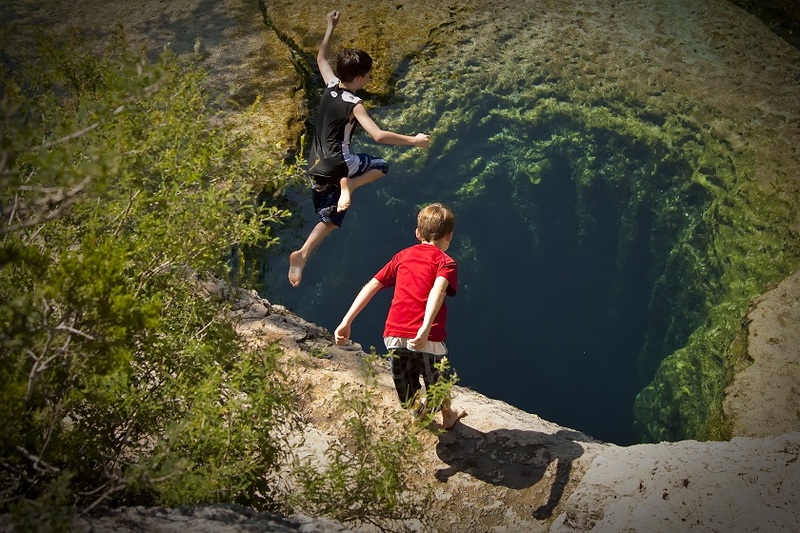 The well acts as headwaters to Cypress Creek, which flows through Wimberley and feeds both the Blue Hole and the Blanco River. If you’re interested in checking out the waterhole, they give public tours every Saturday at 10 am by appointment. You can also schedule a tour if you have a group of 10 or more. This is actually the only way patrons are given access, and yes, you can swim during this time. I can’t wait to sneak in schedule a tour. Click here to check out the tour summary, and here to make an appointment. I love this place swim there alot, never touched the bottom tho. Its really deep. Also I have never had to make an appointment to go there. Just show up and swim!! !